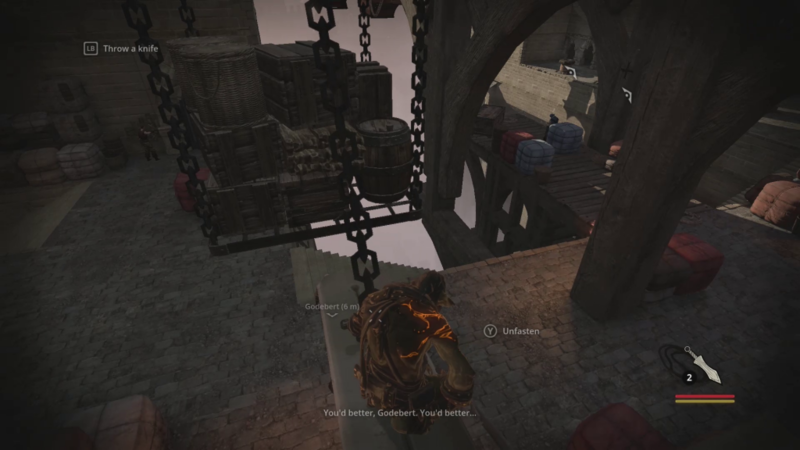 Styx is a stealth game that is billed as a story prequel to Of Orc and Men. You play Styx, the first Goblin, who was one of the NPC characters in Of Orc and Men as he tells his story of trying to steal the heart of the World Tree. Styx: Master of Shadows is told over 8 missions and is a digital only game that costs $30 on Xbox ONE. Each mission runs about 30 or so minutes but takes about 2 to 3 hours each because of the shear number of deaths and reloads. Being a stealth game though if you follow someone’s perfect guide its going to go a lot faster. Digital only games over $15 are a hard sell as people are just getting used to the idea that on the ONE there is no distinction. There are just games, big and small, cheap and not so cheap. So does Styx: Master of Shadows have enough quality gameplay to justify the $30 price? Styx is a pure stealth game in that there is no run and gun option. You can kill enemies in stealthy manners, like from behind or hidden from a chest, but direct confrontation is a recipe for death. When you are seen and attacked you have to successfully parry several attacks, with the harder the enemy the more parries needed, before you are given a direct kill option. Which seems fine since you are just a little hunched over Goblin and not made for direct contact with Humans UNTIL you see Styx pick up these fallen enemies and just toss them about like rag dolls so he definitely has the strength to just win any battle. So chalk that up to a thematic choice to keep with the straight up stealth style of the game but a blunder none the less. The thing that Styx excels at is little touches that other stealh games miss out on. The biggest is accidents. Accidents don’t count against you and don’t make guards freak out and instantly start searching for a spy in their midst. Don’t get me wrong, they react, but in a realistic fashion. Worried about what happened, but not insane about it. Noise levels are handled extremely well. Knocking over broom and kicking pots is going to make some noise and get people investigating as it should. As far as the story is concerned, let’s play a drinking game. Every time Styx has a line of dialogue where he mentions his headache, take a drink. You’ll be dead before the end of the first mission. 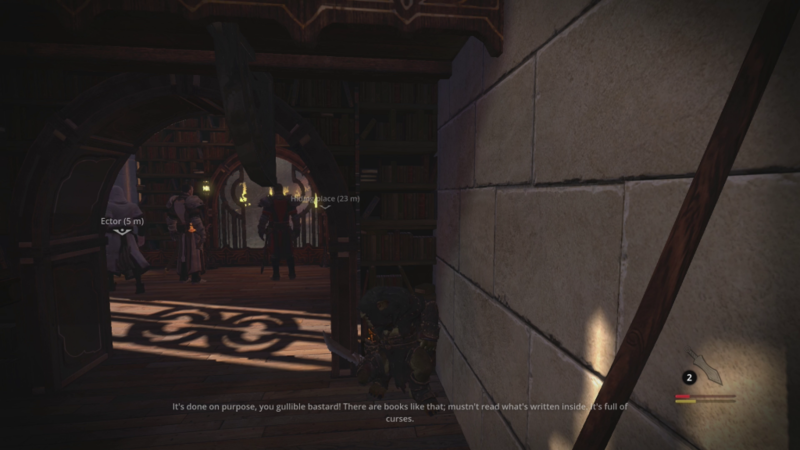 The story is told in cutscenes and in game audio dialogue. The story does luckily pick up in the first mission but it’s presented in a weird fashion. The opening level story is told in a in-game rendered cutscene. This is followed up by in-game dialogue as you go through the mission. But after you finish a mission the wrap up, which is technically a continuation of opening story, is told with audio over paintings. It just comes off weird because it’s all part of the same scene where Styx is relaying the story so why such a huge change in style? Then we start the next mission and it’s back to cutscene. So what does Styx add to the stealth genre? The whole game is about finding and drinking Amber to power Styx’s abilities with the main ability being that Styx can clone himself and use the clone for various activities. Most of which revolve around the clone being able to squeeze through small areas to activate doors for Styx to go through. The big problem with the clones is that only Styx or the clone can act at once. If you need to move Styx, the clone is just standing around waiting. Then you have Styx wait while the clone moves. There is no go do this while I do this other thing. The clones has 4 abilities but the best abilities are all attack oriented and this is in a non-combat oriented stealth game. This leave you with using the clone as distraction so you can sneak past. The thing that is nice is the game doesn’t count clone alerts against you for the sake of stealth. All in all the clones felt like more of a hindrance and kind of gimicky then something that helped me move forward in the game mainly because of the time it take to switch between the two. The guards would already be in the process of resetting before I could even get Styx to start to try to sneak past them. This comes to Styx: Master of Shadows best point. Pathing. There are a multitude of ways to get from A to B in this game. There is almost always ways up, through, or under any obstacle. Some are quite obvious, but the best ones need to be scouted and discovered. Your Amber Vision points out things that can be grabbed and showcases graphical hints that certain ways may lead to collectibles or simpler travels. One of the issues with the game is Styx’s movement through these levels. Since we are going for stealth precise jumps are extremely important to the game to navigate the ledges above the enemies, Styx’s movement through the game is kind of stiff. I find myself saving quite a bit as even the slightest misstep could send you 4 levels down to either your direct death, a crowd of enemies, or just the inconvenience of having to do everything over again. When most of the best routes are above the ground it adds a false level of difficulty just based on how awful the jumping is. Styx uses the Unreal engine for graphics and it’s presented in what I would call a dumbed down Dishonored. They have a very similar look but Dishonored was just so much crisper. Styx also suffers highly from the Stormtrooper problem. There only seems to be 4 or 5 guards models so you’ll be stabbing or sneaking past the same guy about a billion times. The lip sync on cutscenes is also just enough off to be distracting. The graphics are definitely above average, just not as clean as I’ve know the Unreal Engine can be. The levels themselves are pretty good looking and are extremely varied so although the enemies repeat, the level design is fresh. Styx does feature a skills progression system. There are 5 categories and each category contains 4 upgrades. When you complete objectives in the game or finish a mission with special criteria, like no alerts or no deaths, you earn Skill Points. You can spend these back at your Hideout between missions to improve Styx. Things like producing less noise, using a visions ability to find collectibles or being able to do a death from above kill. You can also upgrade your clone so that he can grab enemies for you to run up and get the quick kill or even cooler is you can place a clone in a chest or closet and he will kill any enemies that happen to wonder by. Besides the 4 clone abilities they are all typical stealth skills that every single stealth game in the universe is using. The collectibles are horrible. Each level seems to have 10 Tokens / Coins you need to find per section. These must be found in one playthough of a mission to unlock the thief insignia for that level. Until you get all the tokens in all sections of a level restarting a mission will reset your progress for that level. I’m sure people will come up with 100% stealth, no kill, get all coins videos but for your average gamer you are going to be doing a lot of playthroughs of a mission to get everything completed. Most of the coins are right next to enemies almost forcing you go on the attack if you want to get them all. All in all Styx is a fine game and a generally good time. It simply doesn’t push the stealth genre to anything new or exciting. If you come to Styx as a Run and Gunner stealth player you’re going to have a hard time adjusting to this sneaky combat system. You’re going to die a lot. This game is set up more towards Outlast where you are punished for being seen. It is possible to escape and hide, in fact like most stealth game enemies give up pretty quick [like seriously? If you see an enemy combatant in your base you just figure you were day dreaming if you don’t catch him in 2 minutes? This is ALL stealth games], but the name of the game is stealth. If you are a pure stealth fan than it is worth the $30. 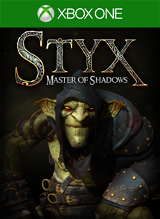 NOTE: If you are playing Styx and need help we do have an Achievement Guide right here on GameGuideCentral!